Alpha Potentiometer 100k log. 16mm diameter. 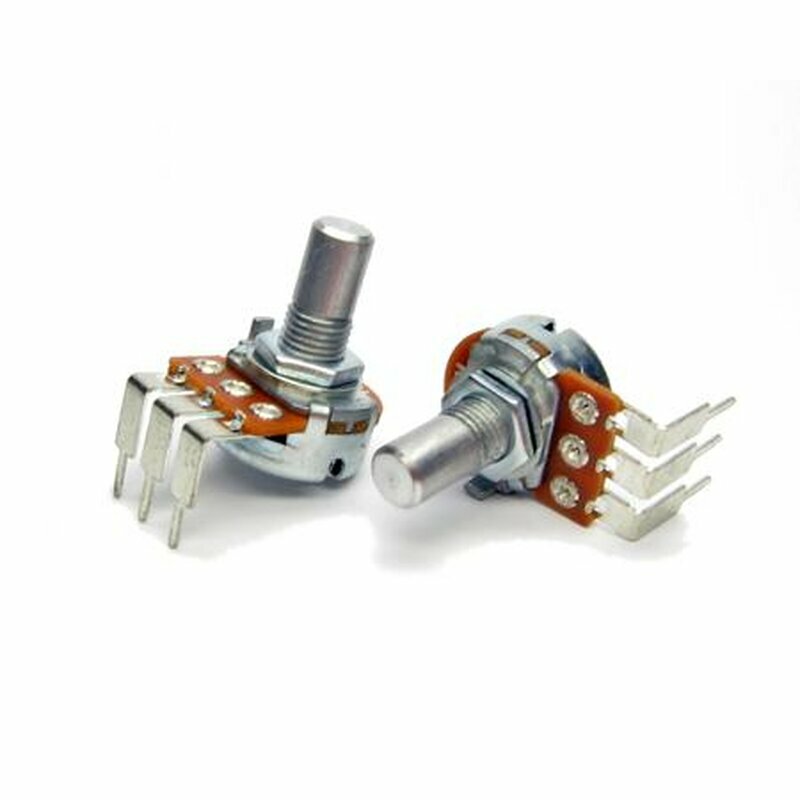 The angled legs enable it to mount the pot directly on a pcb.The pcb can then be placed horizontally in the enclosure. Spacing 5mm, 1mm drill. Length of legs 12,5mm, part through pcb is 5mm. I never had issues with Alpha pots for small projects like guitar pedals.